Talk about being invested in your students’ work. 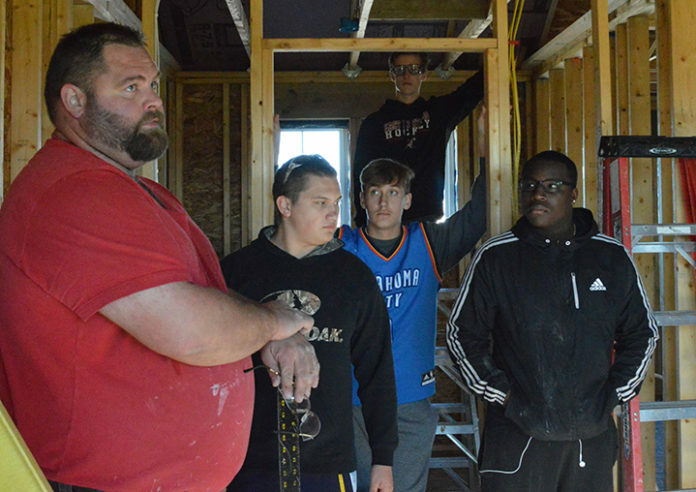 After students spent last school year building a house through the East Kentwood High School residential construction class, Principal Omar Bakri bought it. Bakri and his wife, Ayrica, a third-grade teacher at Explorer Elementary, also in Kentwood Public Schools, sold their Grand Rapids house and moved into the stately home in the Crystal Springs neighborhood with their children, Kian, a fourth-grader and Isaac, 20, in June. Bakri loves the detail in the five-bedroom ranch, which boasts an open floor plan, brick fireplace, wood floors, cobblestone-bordered tile and 9-foot ceilings. “Everything seems solid, top to bottom,” he said. Bakri’s house is among about 25 in the district built by students – with help from professionals – from the ground up. 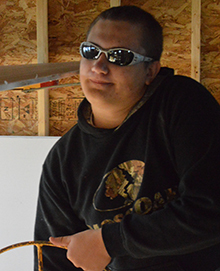 The class, taught for 13 years by Kyle Croskey, has been transforming teenagers into tradespersons since the mid-’80s, providing an invaluable experience. The program sustains itself because the sale of each house provides funding for the next. The district currently owns eight adjacent Crystal Springs lots for development. 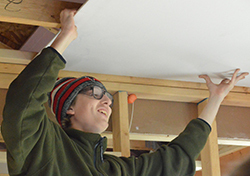 Students gain experience in carpentry, windows and drywall installation, painting and assisting with electrics and plumbing. They install outlets, light switches and sinks, cut and polish granite countertops. They add their own design ideas and tweak things as they see fit. Currently, 34 students are building a 2,700 square-foot, five-bedroom, three-and-a-half bathroom house, also in Crystal Springs. Students are already putting their own signature on it, modifying the original floor plan to include a wet bar in the basement, an expanded walk-in closet and a fancy, walk-in shower. Students earn a math credit for the class, and it attracts a diverse group of teens. More than half enter construction or a skilled trade as a career or in a post-secondary program, Croskey said. Others want to learn to “do-it-yourself” at home. It’s also about having a true sense of what occupations in construction entail. 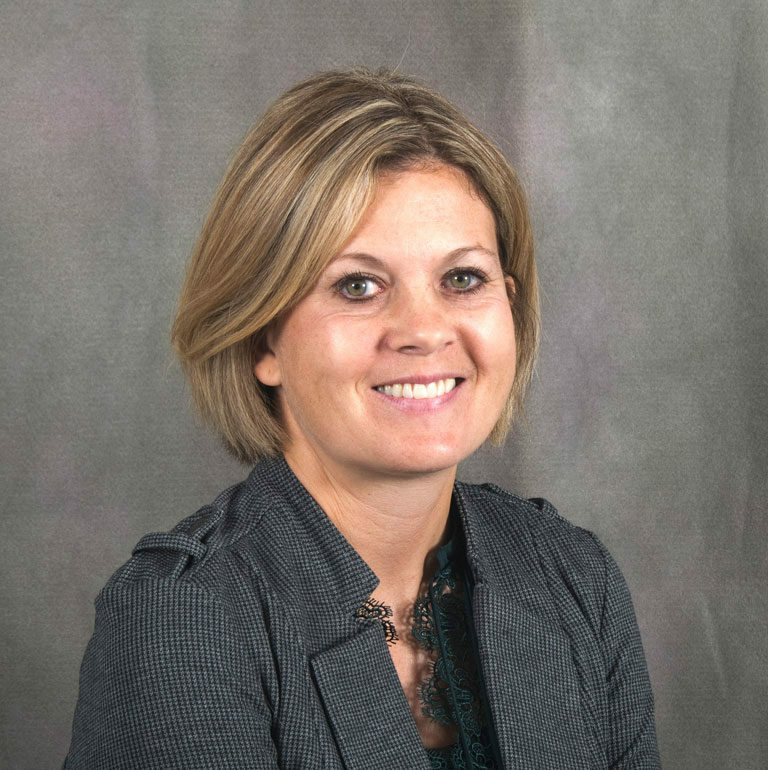 “We want you to have experience and decide if this is for you or not,” Croskey said. 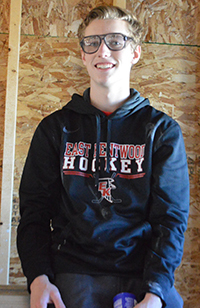 It was the right fit for assistant construction teacher Cam Morris, a 2014 East Kentwood graduate, who took the class his senior year. Skilled-trade professions are in high demand. According to the latest edition of the West Michigan Talent Assessment and Outlook, 10-year growth is projected in construction jobs, ranging from about 7 percent to 34 percent. Last year two students were hired by local companies because of the work they did in the class. Drills buzzed and hammers pounded as students installed drywall on a recent sunny Wednesday.